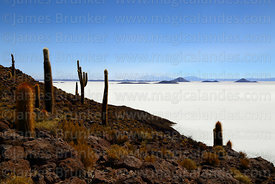 The Salar de Uyuni in southwest Bolivia is the world’s largest salt flat (often called a salt lake) covering some 10,582 km² / 4,086 sq miles, and arguably the country's best known natural wonder and tourist attraction. 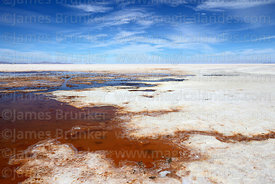 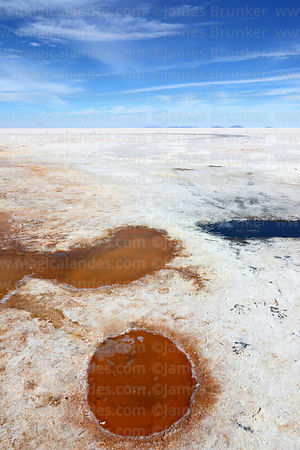 It and other salt flats and shallow lakes on the Bolivian altiplano are the remnants of Lake Minchin, a huge ancient lake that dried out gradually over thousands of years, a process that ended approx 12-13,000 years ago. 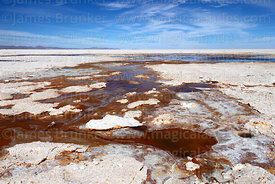 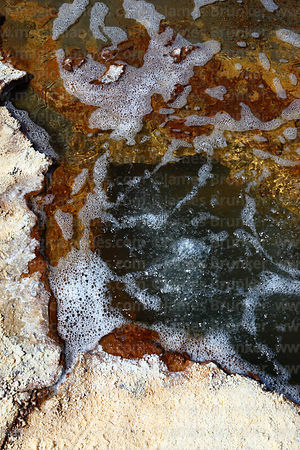 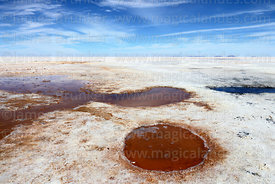 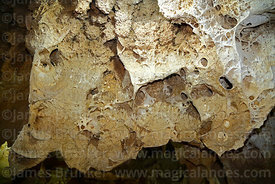 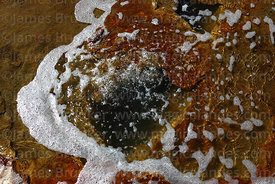 The Salar is actually a thick salt crust (estimated to contain around 10 billion tonnes of salt) that varies from approx 2 to 20m thick, beneath which is a mineral saturated mud and brine lake. 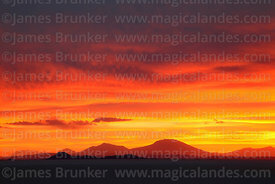 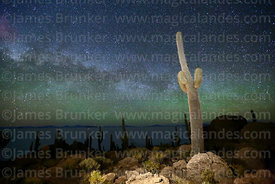 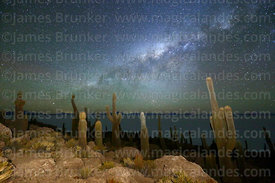 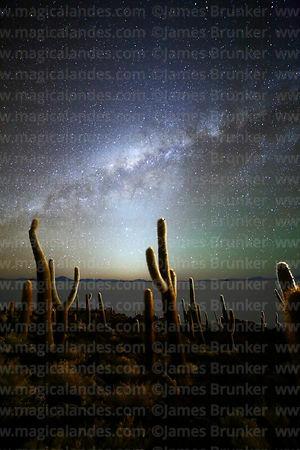 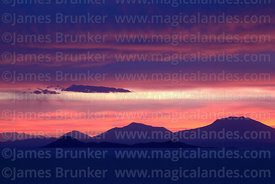 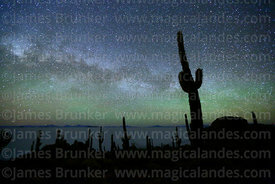 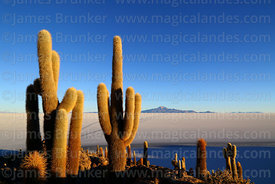 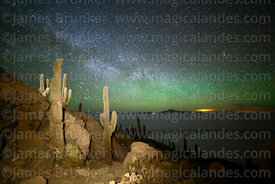 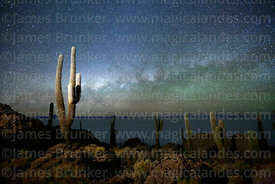 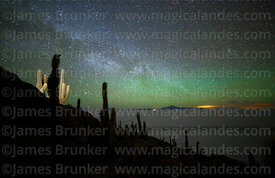 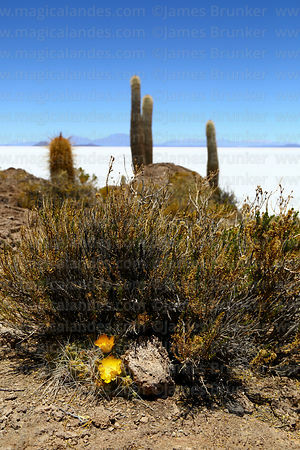 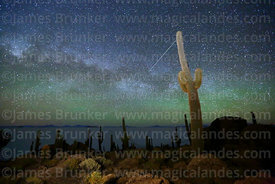 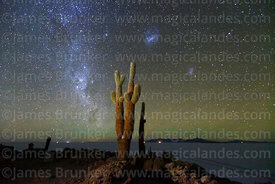 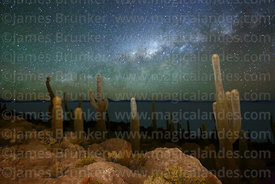 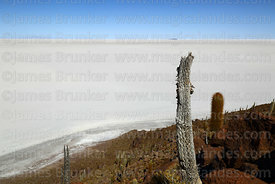 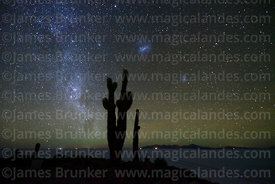 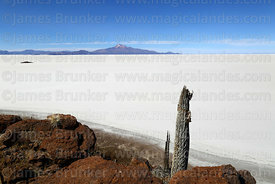 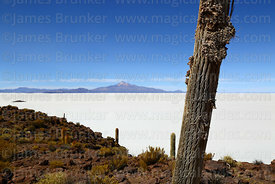 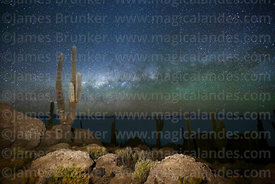 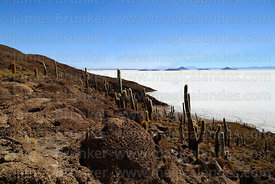 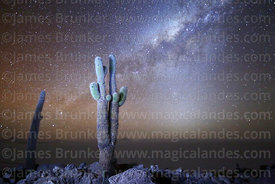 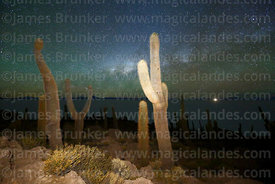 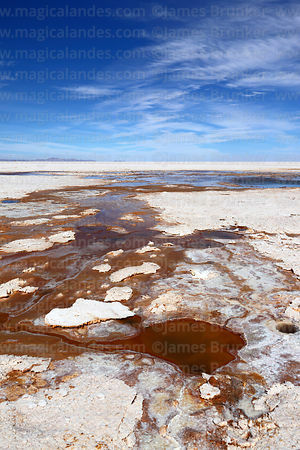 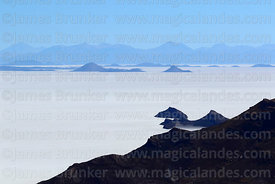 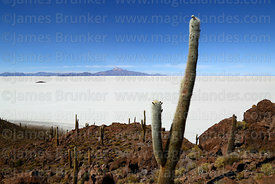 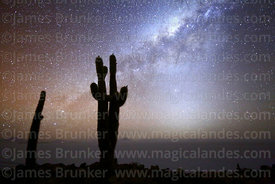 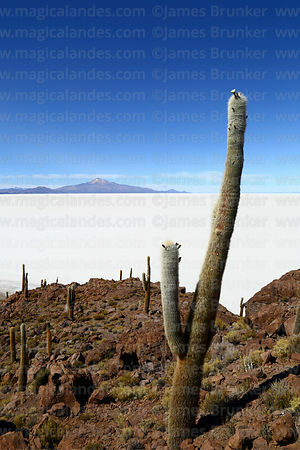 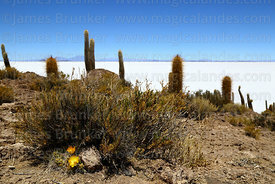 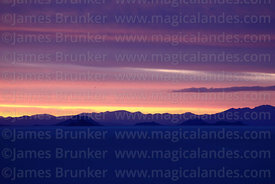 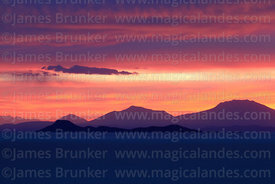 The Salar is an important source of sodium, magnesium, potassium and especially lithium - estimates suggest over 50% of the world's lithium reserves are found here which the government plans to exploit commercially. 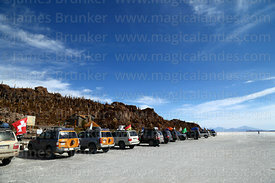 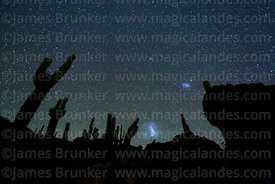 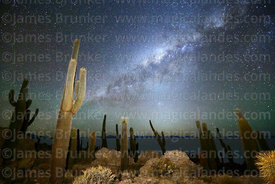 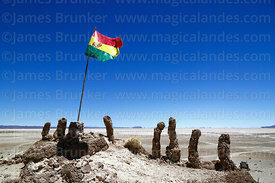 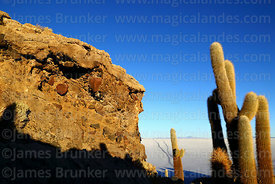 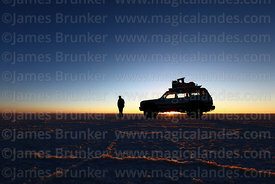 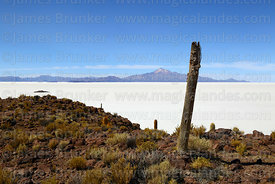 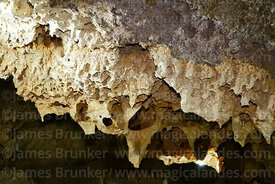 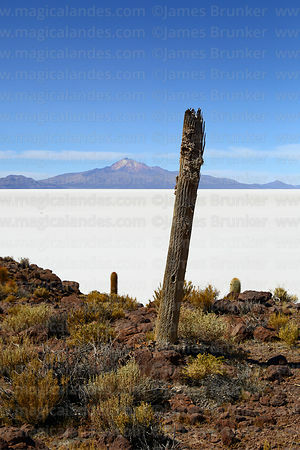 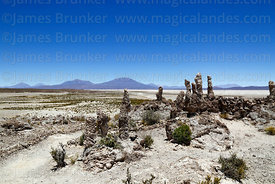 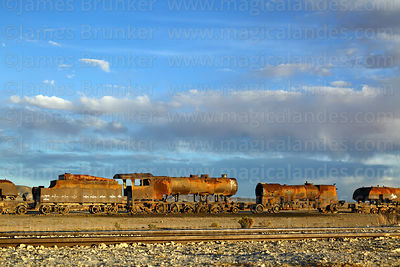 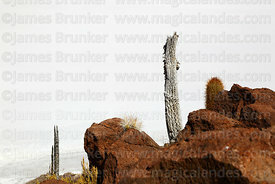 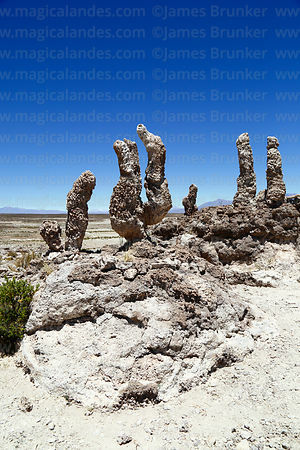 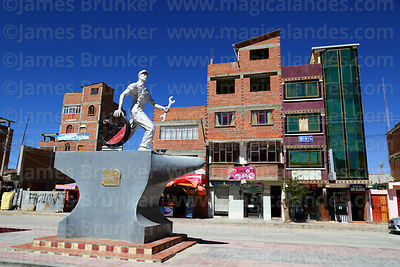 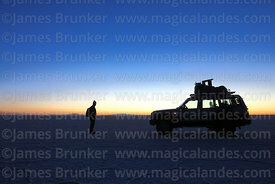 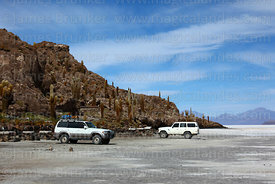 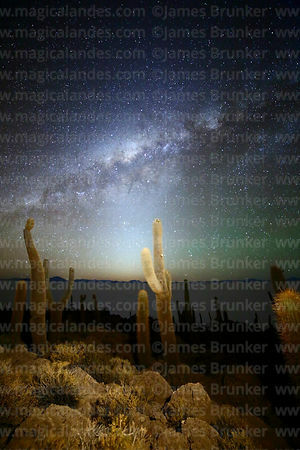 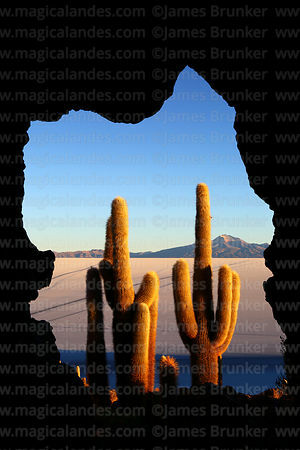 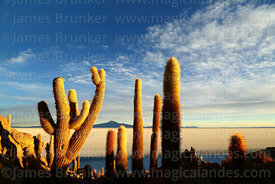 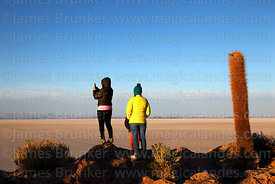 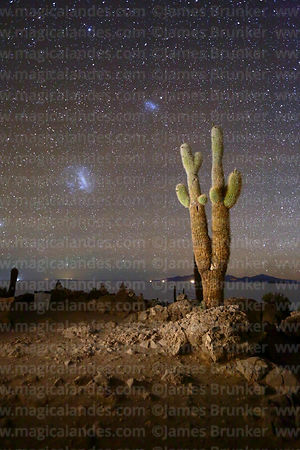 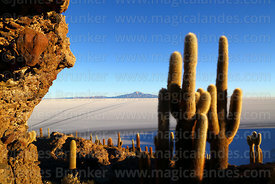 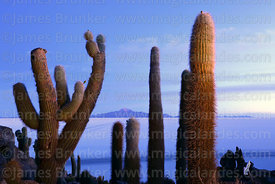 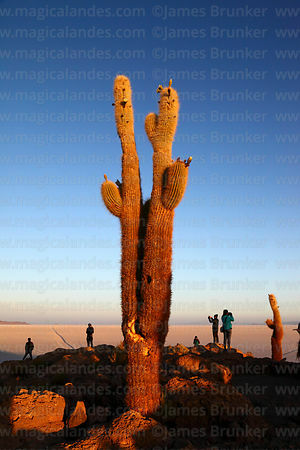 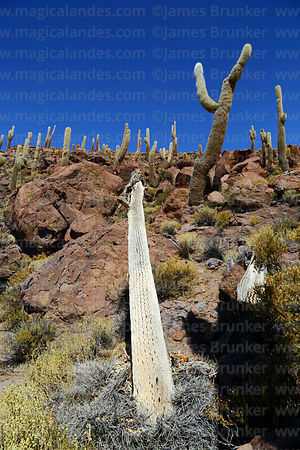 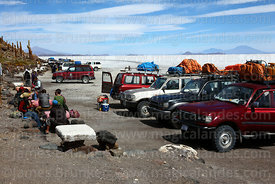 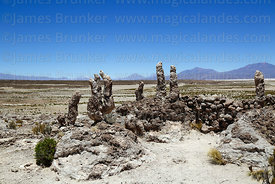 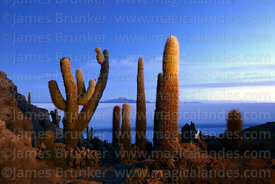 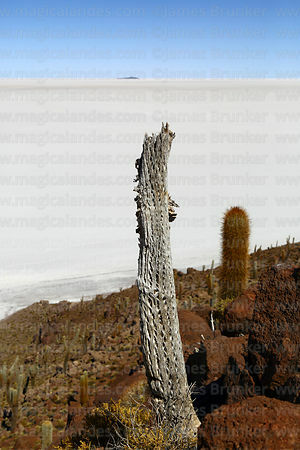 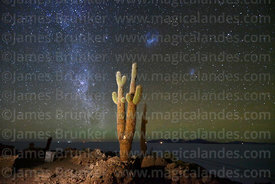 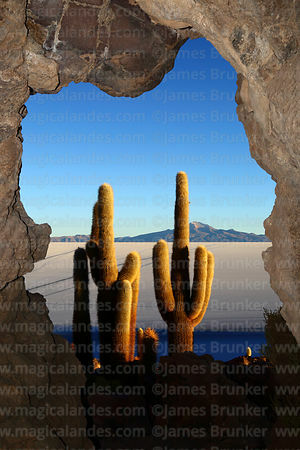 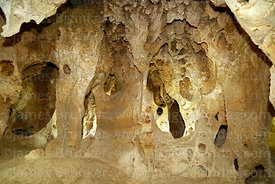 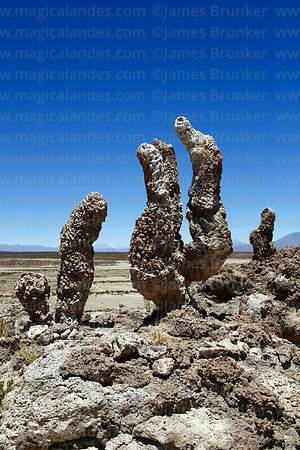 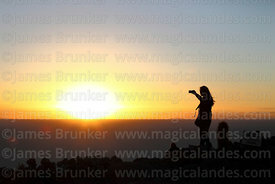 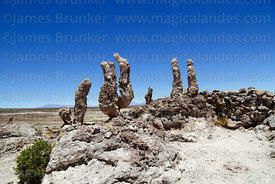 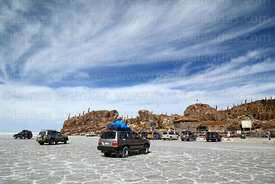 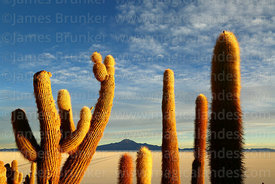 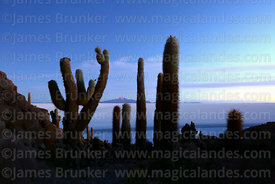 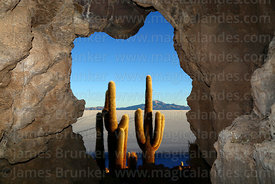 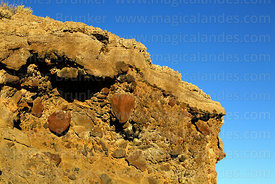 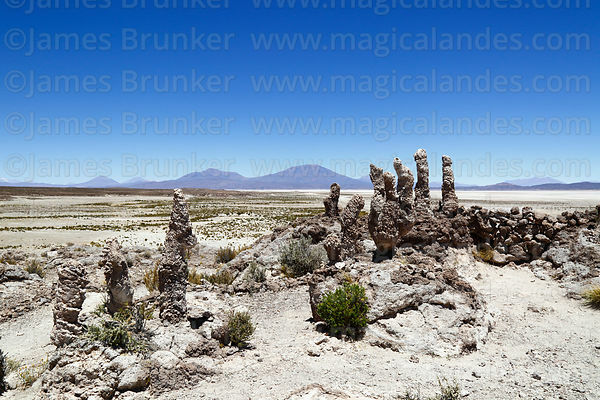 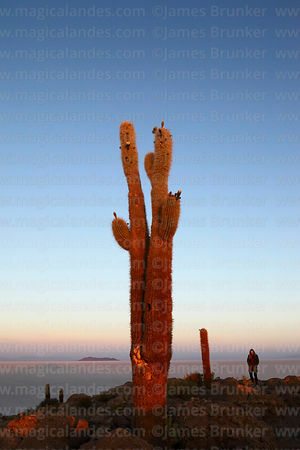 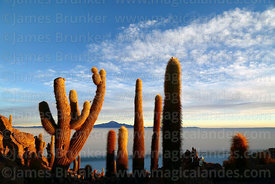 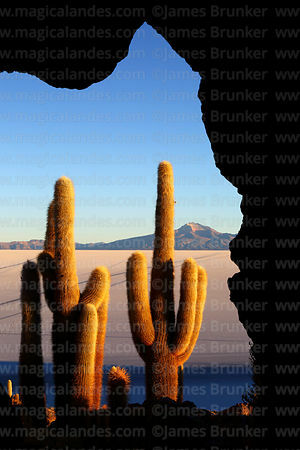 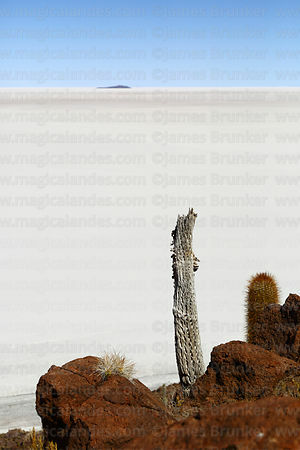 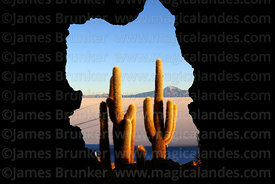 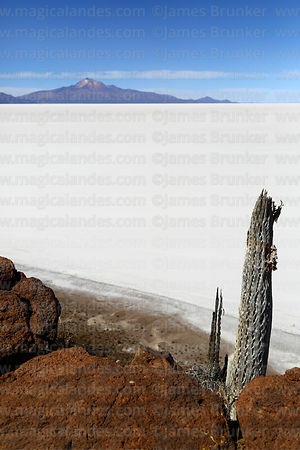 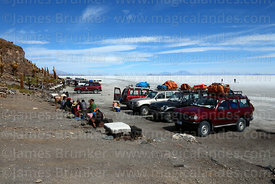 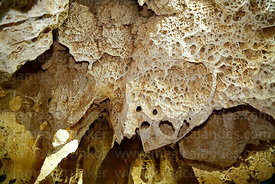 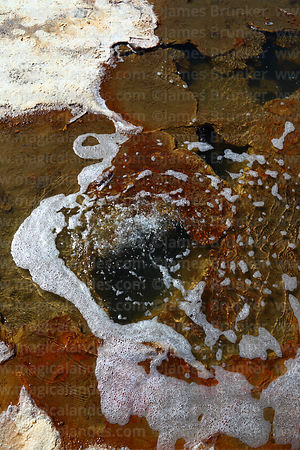 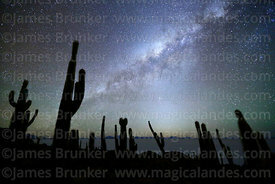 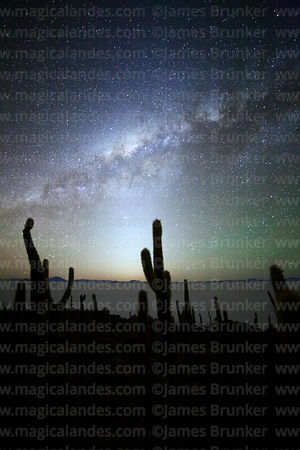 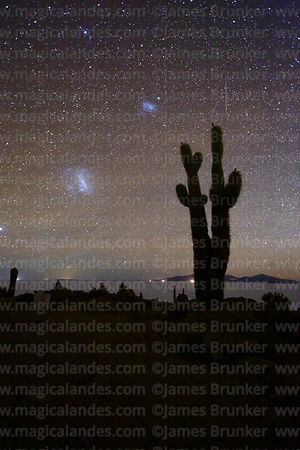 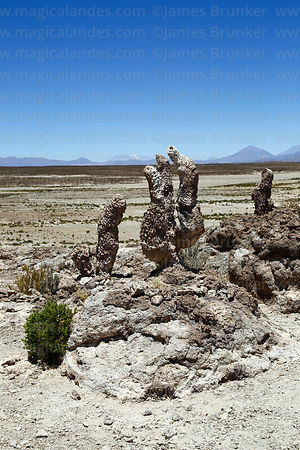 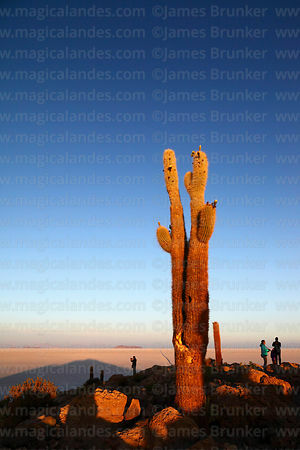 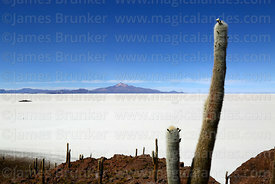 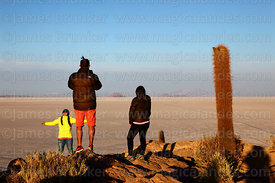 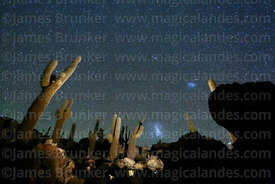 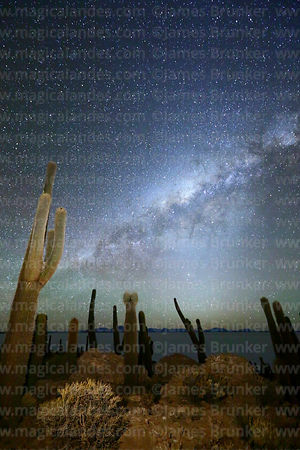 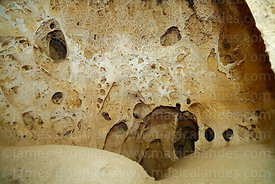 Images of the town of Uyuni, Colchani (which most tourists pass through to visit the Salar de Uyuni) and other villages on the shore of the Salar, and Uyuni's train cemetery can be found in separate sub-galleries.